The Analytical Commentary to the UNCITRAL Arbitration Rules provides commentary and legislative material on the 2010 UNCITRAL Arbitration Rules. 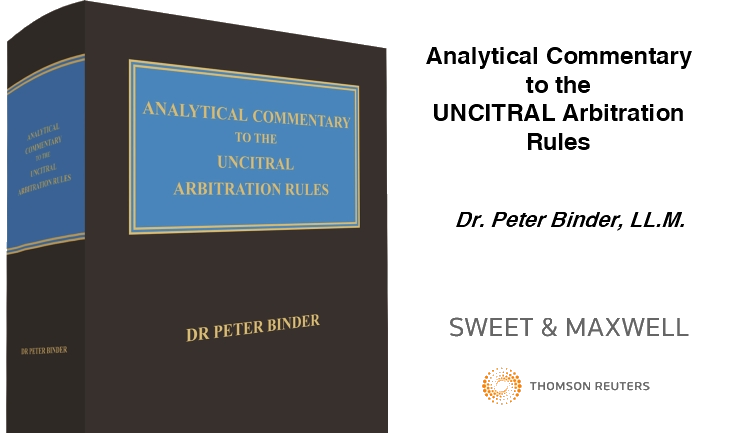 Analytical Commentary to the UNCITRAL Arbitration Rules publishes in hardback and as an ebook on Thomson Reuters ProView™ for iPad, PC or Mac. The ebook allows you to interact with the content you rely on in brand new ways. 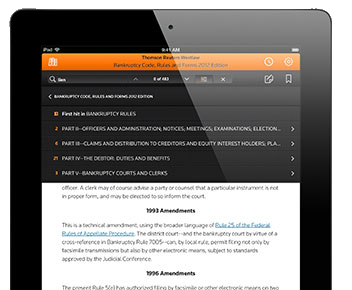 So whether you’re in the office, on the move or in arbitration proceedings you can now stay current and informed, everywhere. The eBook is packed with special features that ensure it fits as closely as possible with your needs. A speedy navigation bar enables you to scroll through the text more quickly than ever, there are more ways to search for the information you want and you’ll be able to see your search results in context. Dr Peter Binder acts both as arbitrator, counsel and academic providing national and international legal expertise. In his function as law reform consultant, Dr Binder frequently advises governments seeking to implement arbitration or ADR laws. He is also a member of the UNCITRAL Working Group on Arbitration and Conciliation and participated in all drafting sessions of the revised UNCITRAL Arbitration Rules in New York and Vienna.